COMING SOON!!! Your chance to own a 9 acre estate lot in the quiet countryside of Lunenburg. Four ANR lots to be constructed with one shared driveway to access Northfield Road. Large estate lots with lots of privacy are being offered at exceptionally low prices. This is an opportunity to buy in early for a chance to build your dream home. Great perk rates. 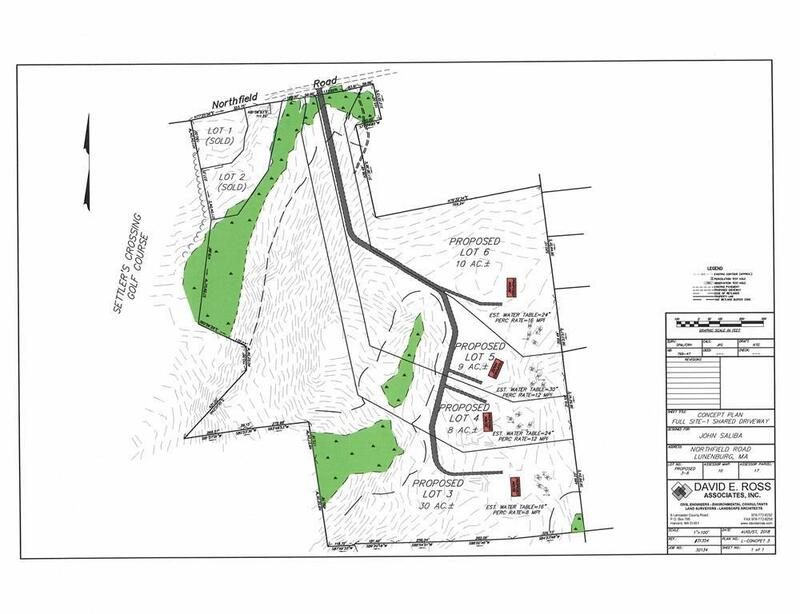 Seller will construct wetland crossing to access lot and will rough in driveway to home site. 4 bedroom septic design is included. Lots are currently under the permit process and are expected to be ready to build on by early Spring 2019. CALL TODAY FOR MORE DETAILS! Close to area amenities and easy highway access to Boston and points north. Listing courtesy of Joseph Lee of Steeplechase Realtorsâ®. Disclosures Lots Are New Anr Lots And Have Not Yet Been Assessed. Listing provided courtesy of Joseph Lee of Steeplechase Realtorsâ®.